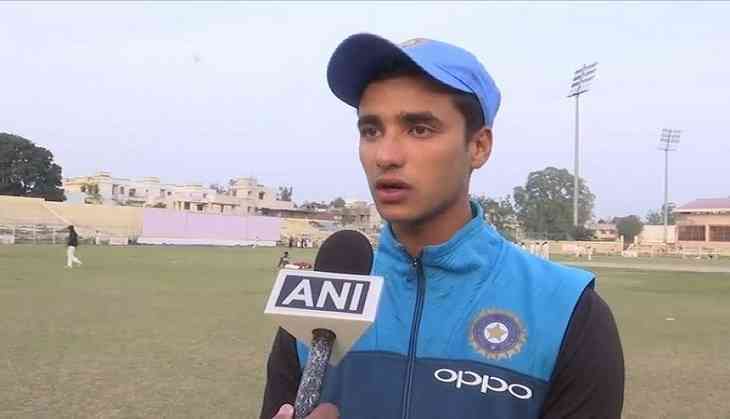 India's Under-19 all-rounder Abhishek Sharma, who was in the 2018 World Cup winning squad, believes that securing a spot in the national team is not a piece of cake and he will have to dig out his own space there. Sharma told ANI, "I have to take out my own place. I will practice harder than I think I should. And if I do well in the matches and the whole camps, then I'll be there very soon." Talking about the World Cup, he said, "We were dreaming about it since two years and when it happened we felt out of the world." The Amritsar player added that the World Cup triumph has set a platform of opportunities for him and he will try to grab them with both hands. "I think it is a great opportunity for all of us after winning the tournament because we will get more chances regarding others. This is good platform for all of us. I will take this opportunity and practice harder and focus more," he said. After stupendous show in the World Cup, Sharma is in action playing for Punjab in the Vijay Hazare Trophy.